Last week, Beyoncé and Jay-Z made news across the world with a headline grabbing offer: take the plant-based pledge and you just might win concert tickets for life. When the most culturally significant and influential entertainment couple on the planet throws down like this, it’s a big deal. The tectonic plates of social culture shift. Conventional attitudes and habits around food change. And our social paradigm is nudged forward. So what’s the story behind all this? The man behind this curtain isn’t a musician. No, Marco Borges is a trainer and exercise physiologist. He’s a family man and friend. He’s the person who first inspired Jay-Z and Beyoncé to adopt a plant-based lifestyle. He’s the entrepreneur that partnered up with the duo on 22-Days Nutrition. 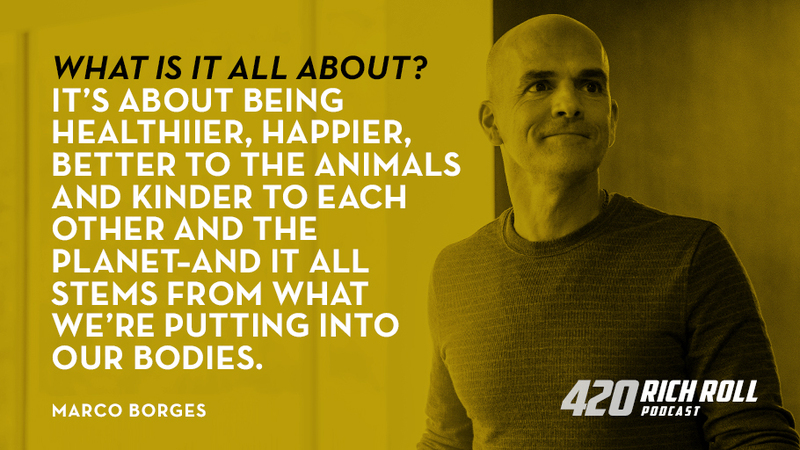 And he’s the environmentalist who enlisted the global icons in his latest venture, The Greenprint Project — a plant-based “blueprint” designed to shift your mindset, improve your health and impact the planet for the better. In addition, Marco is the author of multiple New York Times bestsellers, including The 22-Day Revolution, The 22-Day Revolution Cookbook, and his latest offering, entitled (you guessed it), The Greenprint: Plant-Based Diet, Best Body, Better World. 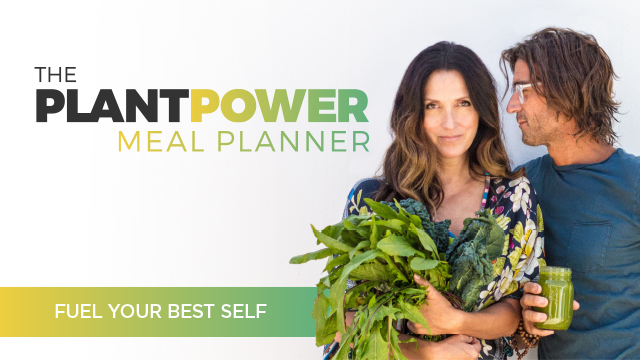 An inclusive, practical primer on all things plant-based, it’s a beautiful must read for anyone looking to lose weight, increase energy, boost metabolism or reduce your carbon footprint. Marco has been prominently featured in every major media outlet from Good Morning America to Vogue and today marks his third appearance on the podcast. If you’re new to the show, please check out episode #195 for Marco’s full backstory and episode #271, which features a panel discussion Marco and I conducted before a live audience at the Miami Seed Food and Wine Festival a few years ago. Today’s conversation pivots around the why behind Marco’s new Greenprint book and app. We discuss transcending labels. Marco’s focus on inclusivity over tribalism. And how mastering a few simple lifestyle changes can positively transform your life and the planet. Because I have grown quite close with Marco and his family, I can say with great conviction that he is the real deal. A man who walks his talk. A father, husband and entrepreneur who has devoted decades to empowering positive change in people from all walks of life. And so it is with delight and great enthusiasm that I share our latest conversation with you today. I hope you enjoy it as much as I enjoyed having it. Outerknown: For the people and the planet, Outerknown was founded by pro surfer Kelly Slater to provide high quality, environmentally sustainable clothes that fit great and are made to endure. Visit: Outerknown.com today and enter promo code RICHROLL at checkout to receive 25% OFF your full price order. DesignCrowd: Custom graphic, logo and web design from over 550,000 designers around the world. Get the perfect custom design, every time! Visit designcrowd.com/RICHROLL or enter promo code RICHROLL at checkout and receive up to $100 off your design project now! Note: One of the best ways to support the podcast is to support our sponsors. For a complete list of all RRP sponsors and their respective vanity url’s and discount codes, visit my Resources page and click “Sponsors”. RRP #367: Fasting For Longevity With Valter Longo, Ph.D. Thanks to Jason Camiolo for production, audio engineering, interstitial music. Video, editing and graphics by Blake Curtis and Margo Lubin. Theme music by Ana Leimma. Download Our Free App: Now you can access, stream, download and share the entire RRP catalog in the palm of your hand on any iOS mobile device (iPhone, iPad and iPod Touch) with our mobile app. Never miss an episode, plus special announcements. Support The Sponsors: One of the best ways to support the podcast is to support our sponsors. For a complete list of all RRP sponsors and their respective vanity url’s and discount codes, visit my Resources page and click “Sponsors”.